Get It Right This Time... With Targeted Prayers To Turnaround The Cheating Husband. How To Pray, And What To Pray. Prayer for the change of cheating husband is powerful and always brings amazing results. Much of the results come in unexpected ‘magical’ ways that make it seem coincidental and strange. Before the final outcome, the route of the expected answers may seem strange or appear to have derailed; the challenge may worsen and be rolling without any intervention. This is normal, it does not diminish the immense power of prayers. The secret to answered prayer is persistence, whether there are visible changes or not, until the deed is done. Remember PUSH (Pray Until Something Happens) Luke 18:1. You do not understand all factors at play in this sad misbehavior of your man, which is why you turned it over to God who is all-knowing. Let God handle it His way, and change whom or what he may, to grant your answers. There are three levels of change to expect on the way to the answer of the prayers. Personal Awakening. God may grant you insight to change certain personal deficiencies or weaknesses to help you out of your own way to answers. Internal prompting may remind you of certain attitudes that didn't go well with your husband in the past. Change yourself before you see the change in another person. Self Realization. The change of cheating husband may come from within him. Your husband ‘could come to himself’ and suddenly turn remorseful. He may suddenly show attitudes that are unusual, like buying you gifts or commending your work in the home. This is divine intervention at work! Confusion In Their Affair. Some minor issues in husband's / mistress affair might lead to very serious misunderstanding between them. This is the most common form of bringing the man home in answer to prayers. Bear in mind that the important thing is that your husband is changing in answer to your prayers. Don’t expect him to change according to your own way of thinking. If you really prayed, the change of cheating husband is not in your control anymore. Here the end justifies the means! This is not even the time to extract confessions and apologies from him. If he offers them without prodding, all well and good, otherwise there will be appropriate time to hear all the details in edifying manner. As soon as you notice ‘body movements’ suggestive of his remorse, meet him half way. Most men are too embarrassed to return to their wives after their shameful misdeeds. 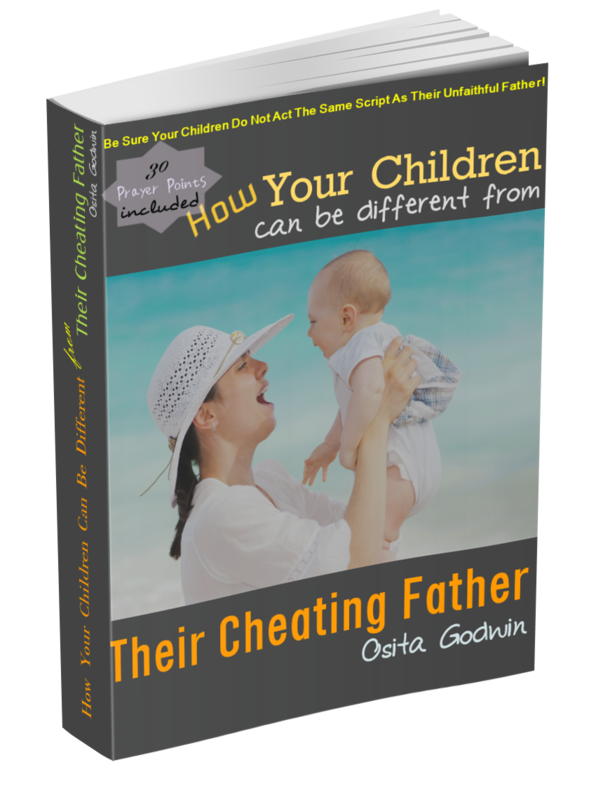 Your job is to make the change of cheating husband easier for him. Remember the story of the prodigal son in Luke 15:11-24. Take these steps to integrate him back to the family. Receive Him Wholeheartedly. No questions or blames on him yet, just warm reception. Let him know how happy you are to have him back. Restore Him Completely. Give him back his place as the man and head of the house. He may lack confidence to take his place, so re-assure him and act as if nothing happened. This may be difficult but cooperate with God that brought him back. Openly thank God for bringing him back. 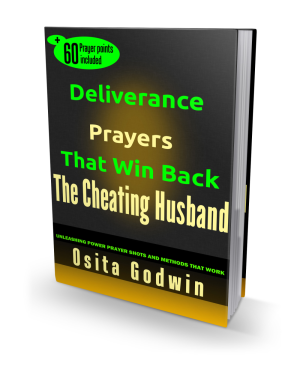 If it is prayer that brought you the result, you need prayer to sustain the change of cheating husband. However, endeavor to make him join you in the prayers.